Homepage 30 years - BMA Ergonomics. On the 16th September 1988, BMA Ergonomics was established as the BioMechanisch Adviesbureau (biomechanical consultancy). In 1996, the first Axia office chair rolled off the production line in Zwolle (NL) and in 2019, 30 years after foundation, the 1,000,000th user will use his or her new Axia office chair. We are extremely proud of this milestone. What else are we proud of? But we are especially proud that we actively improve your sitting posture at work. In fact, that has been our passion for 30 years! Everyone knows that “Prevention is better than cure“, but it is typically different in everyday life. As a rule, employees do not complain about back, shoulder or neck injuries until it is too late, and the establishment of the BioMechanisch Adviesbureau (abbreviated: BMA) in 1988 was a direct reaction to this. Physiotherapist Cees Bruin and mechanical engineer Matthé van den Oord combined their medical and technical knowledge to prevent injuries and complaints from occurring in the workplace, using smart solutions. Cees had noticed that in his practice he was mainly concerned with symptom management and, curious about the causes of these injuries and complaints, decided to observe his patients at their workplace. Cees was one of the first occupational physiotherapists in the Netherlands and, together with Matthé’s technical knowledge, his observations resulted in advice and assistance targeted to prevent injuries and complaints from occurring. From ergonomic and biomechanical knowledge, to advice on postural improvement, proposals were also made for the design of ergonomic solutions. 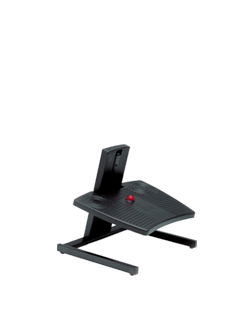 The first real BMA product was the Footform: a footrest that is used at counters and workstations. 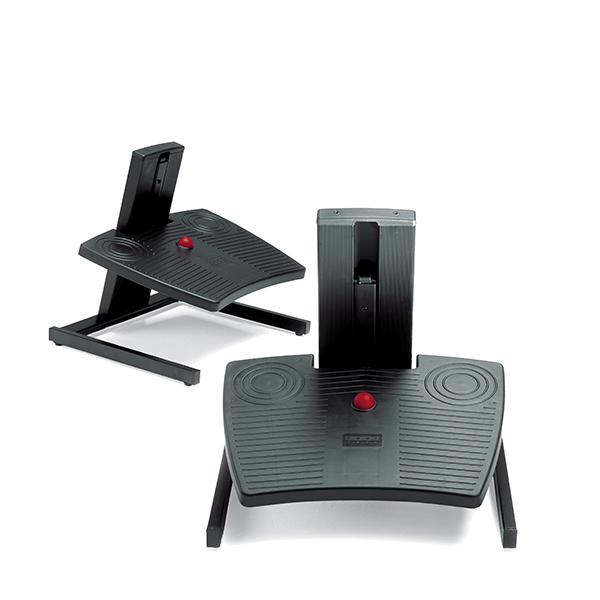 The Footform continues to be as popular today, and is widely used in industrial and office environments. In addition to our own brands, ergonomic products from third parties were imported into The Netherlands. For example, after extensive market research office chairs from Swedish brand RH (now a sister brand within the Flokk group) were considered to be the best solution for good postural support when involved in VDU work. Although the transition from typewriters to the Personal Computer provided many positive benefits, it created a number of detrimental side effects too, specifically with complaints to the back, shoulders and neck, as well as eye strain resulting from hours peering at a screen. 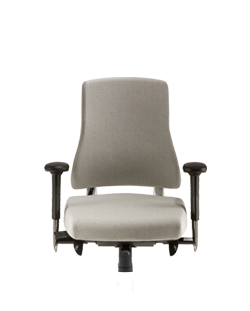 By importing, assembling and selling office chairs to the Dutch market, BMA quickly grew from 2 to 10 employees. Cees and Matthé were on their way! They had established a viable, cosy and fun company that, above all, contributed to the well-being of their customers. In the first years after its foundation, BMA continued to build on its knowledge base in the field of ergonomics and biomechanics. In fact, it was this knowledge that had created BMA in the first place. Knowledge was translated into advice, and products such as the Footform and (imported) office chairs, with the target of preventing and solving problems at the computer workstation. Product development, production, quality and design started to play an increasingly important role in the early 1990s. Together with Professor Snijders of the Erasmus University Rotterdam and Professor Goosens of TU Delft, we worked on our own philosophy of sitting. The result of this was the Axia VDU chair, which first saw the light of day in 1996. Armrests that do not move with the chair or conflict with the work surface, that support the arms and shoulders in a relaxed manner, and keep the hands on the keyboard. 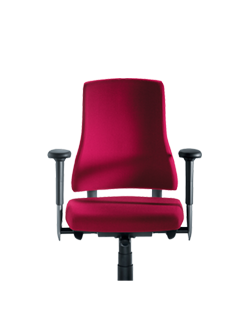 When creating the Axia office chair, in addition to its timeless and fresh visual design, the life cycle of the product was also considered. Principles such as ‘Designed for Disassembly’ (freely translated: designed to be disassembled again) and the use of sustainable, recyclable and recycled components were applied. All the time, great attention to the highest quality and service was considered, so that users could take full advantage of the comfort of the chairs. 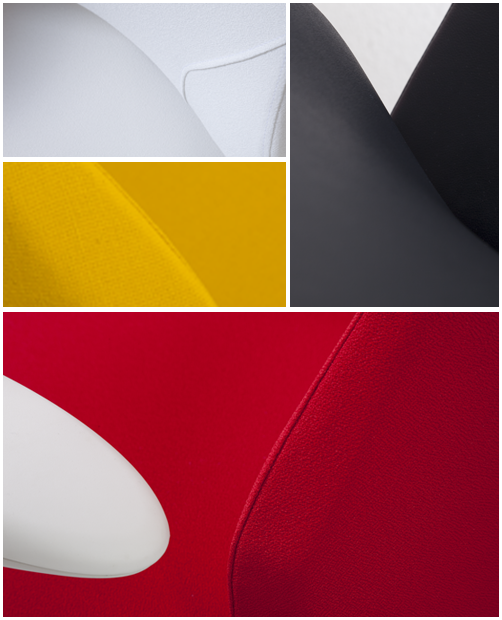 DID YOU KNOW … the back of the Axia office chair is based on the petal of a tulip? Now that really is Dutch Design! 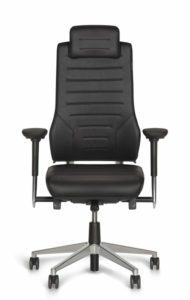 The Axia office chair, designed in 1996, was successfully launched a year later via a network of specialised dealers. After the Netherlands, Belgium and Luxembourg, the office chair was gradually introduced into other European countries such as Germany, the United Kingdom and Finland. 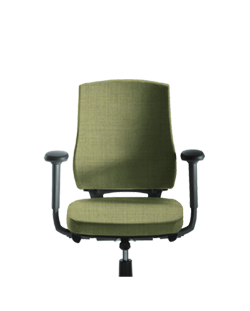 In order to respond to ever-changing office environments, the Axia range was soon expanded with multiple variations in backrests and adjustment options. The modular design of the Axia office chair means that it is ideal for accommodating different body sizes, shapes and weights, as well as addressing medical conditions such as back, neck and upper limb disorders. Because everyone is different. The Axia met, and continues to meet with the Dutch Practice Guideline NPR1813, which states that the seat mechanism must be suitable for 95% of the population. This means that all Axia chairs go beyond the European Norm EN1335. The demand for ergonomic office chairs continued to grow throughout the 2000s, and so BMA Ergonomics moved to a new, larger location in Zwolle, where chairs could be produced on a larger scale. Thanks to a smart assembly line, production grew to 2,500 chairs a week, so the entire process – design, suppliers, assembly, distribution and service – was in the hands of BMA itself. During the same period, the growing trend of flexible working was rising, where a single workplace is shared amongst several employees. The practice of ‘good sitting’ began to suffer, mainly due to the lack of sitting education, with most employees only understanding how the chair is raised or lowered. 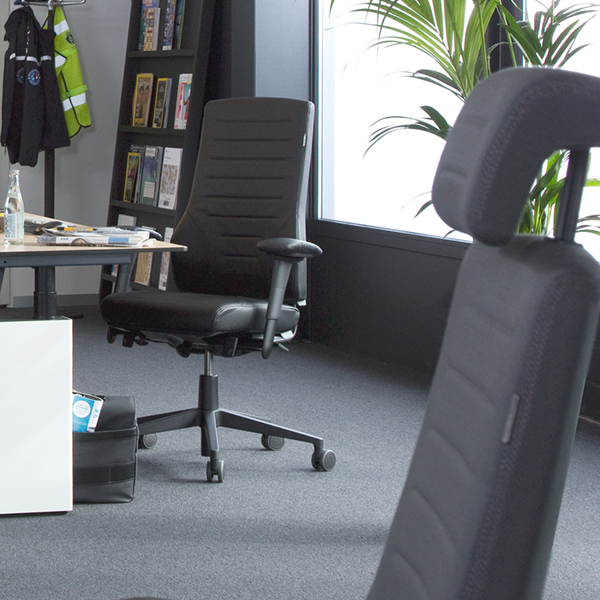 With flexible working, the importance of personal seating instructions and training has increased, which BMA has been giving to customers in conjunction with dealers since the Company was formed in 1996. 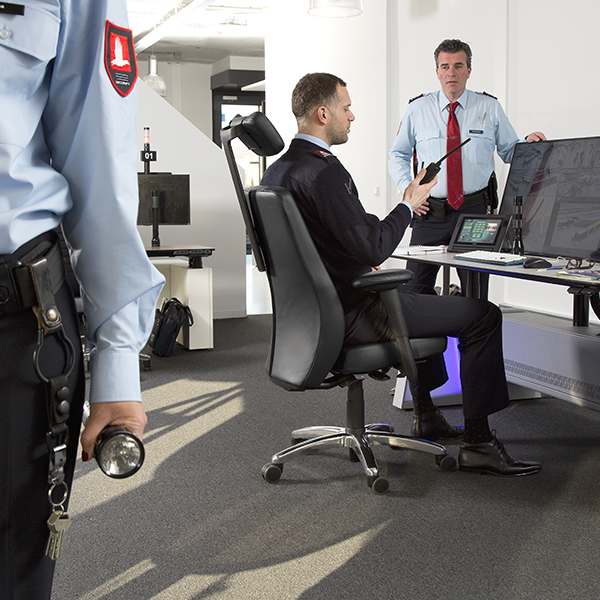 BMA developed a measuring chair especially for training purposes, which helped the user to adjust his or her chair in the workplace using sensors. This measuring chair became the basis for the Axia Smart Chair in 2012. In 24-hour working environments, such as Emergency Services Control Rooms or hospital receptions, there was also an increasing demand for good ergonomic chairs. 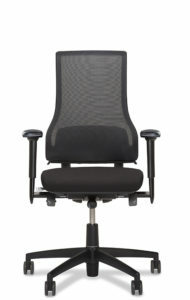 BMA Ergonomics was one of the first companies to respond to this need and to sell specially designed 24/7 chairs. These were chairs that had the robustness of truck seats, combined with the look of a more traditional office chair. They were all, however, built according to the BMA seat philosophy and on an Axia platform. 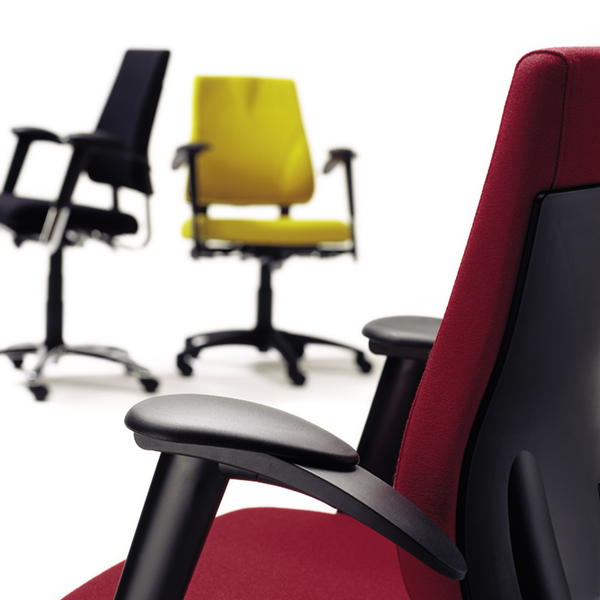 DID YOU KNOW … the measuring chair that we used for sitting instructions was the basis of the Axia Smart Chair (2012)? Pressure sensors in the measuring seat helped the user to choose the right settings for him or her. As time went on, BMA became an increasingly important player on the 24/7 market. To be even more in line with the diversity of 24-hour work, the Axia Focus 24/7 was developed and introduced in 2009. 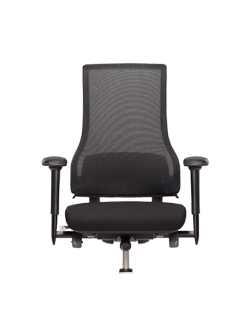 This chair can be used both in heavier 24-hour work situations, such as industry and surveillance, as well as in regular office environments. More and more companies were thinking about their social responsibility during this period, and Sustainability and the environment has always been a core element of BMA operations. 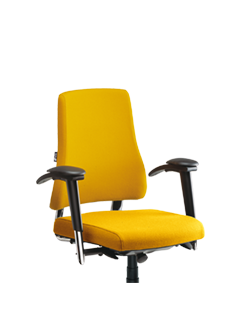 Since the first Axia office chair was designed and produced according to the ‘Designed for Disassembly’ principle, our office chairs can be easily disassembled for recycling, revitalisation or maintenance purposes. Thinking in chains is central, because from supplier to end user everyone has a role in this process. During this period, laboratory and field research was also conducted with TNO into the effects of different postures, and the effects of movement on productivity – the building blocks for a smart chair. After a number of years of technical developments and extensive practical research, the Axia Smart Chair was introduced in 2012. This was the first smart chairin the world. The Axia Smart Chair became, as it were, a personal sitting coach at work. Featuring vibrations in the cushions combined with an interactive label with lights, the Axia Smart Chair provided direct tactile and visual feedback on sitting behaviour. 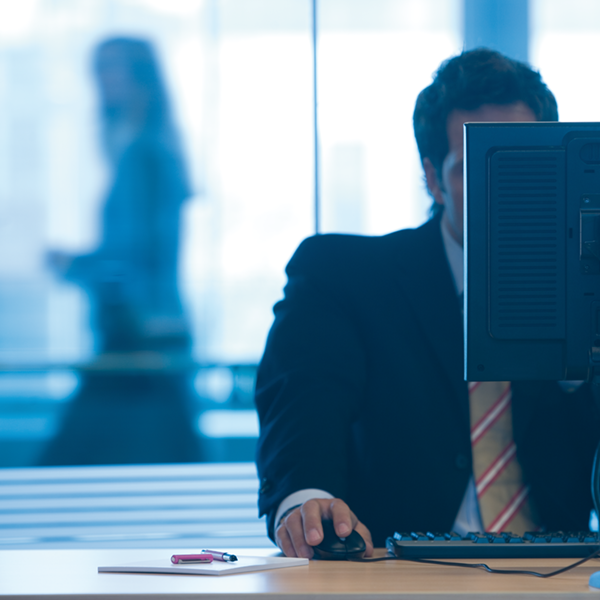 As a result, the user became more aware of his or her sitting posture, sat better and performed better at work. 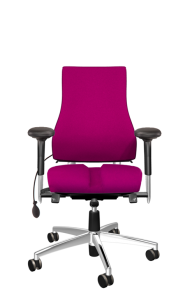 However, the basis for better sitting remained the same: a well-adjusted Axia office chair. The feedback that the Axia Smart Chair gave to the user also provided useful information for others within the company. For example, the facility manager had an insight into the occupancy rate, and thus how many chairs were being used within the building, and the Health and Safety team could give individual assessments in the case of complaints on the basis of the collected data. An interesting trend during this period was the publication of material relating to the consequences of sitting, “Sitting is the new smoking.” As a whole, sitting was put in a bad light, to us an unjustified point of view. It isn’t sitting itself that’s the problem, but sitting too long without variation and movement. 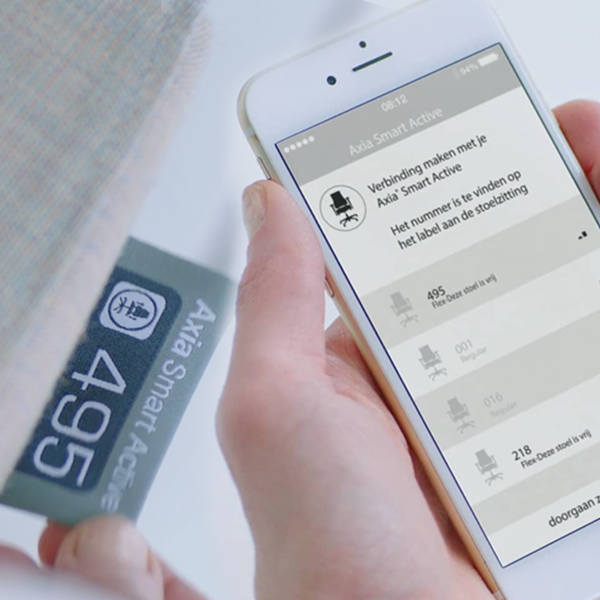 Addressing this inactive sitting behaviour was the reason for BMA developing the Axia Smart Active app. Under the motto “sit well when you need it, move when you can,” the Axia Smart Active was the next smart office chair from BMA. 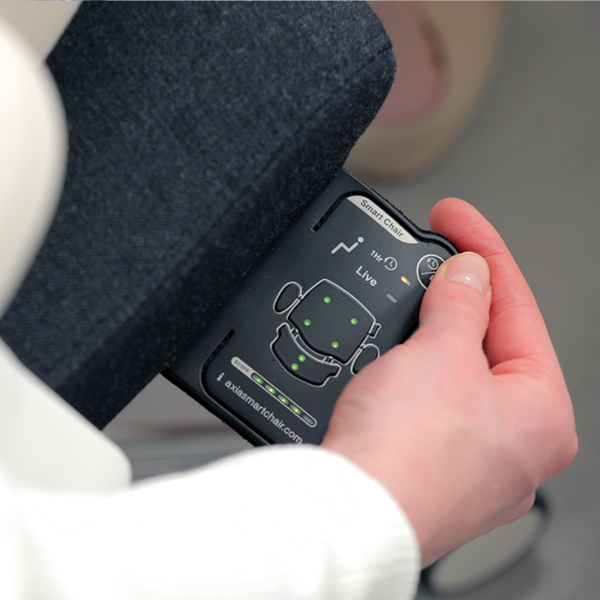 The occupancy sensors in the seat cushion measure the sitting time and the number of interruptions. Through vibrations and useful tips & tricks on your smartphone, the user is encouraged to adopt a more active working style. 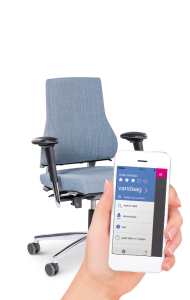 Unlike the Axia Smart Chair, the information in the app is only accessible to the user. Thanks to the success of the brand since its founding, BMA has always been an interesting player in the office chair market. So interesting in fact, that Flokk decided to take ownership of BMA in 2016. Flokk, with its roots in Scandinavia, designs, develops and manufactures office furniture for the HÅG, RH, Giroflex, RBM, Offecct, Profim, Malmstolen and BMA brands. 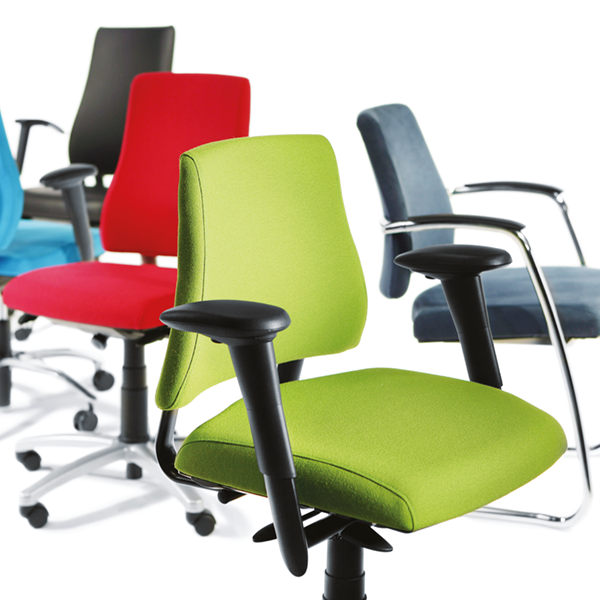 It is therefore one of the biggest players in the office furniture market in Europe today. 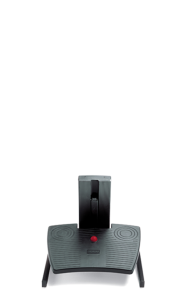 The cornerstones of Flokk are human factors (ergonomics), durability, visual design and quality. Principles that fit in well with BMA. 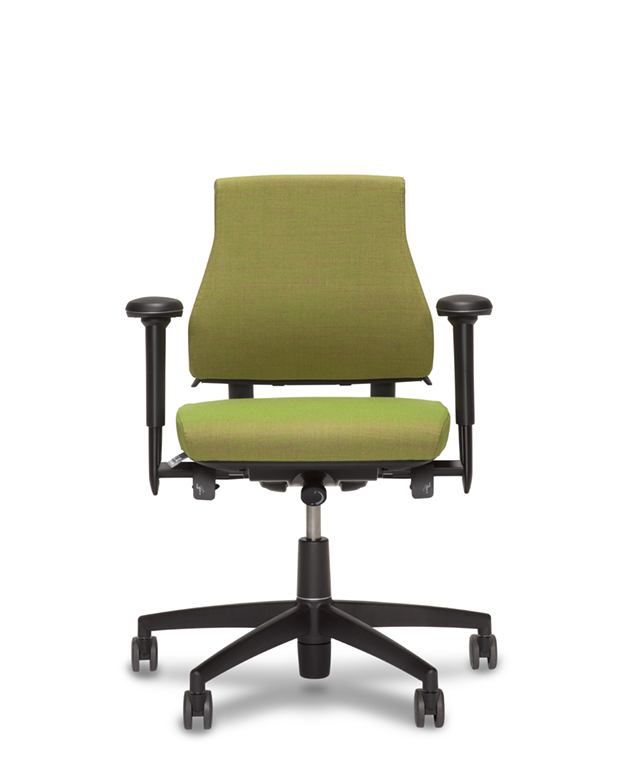 Within the group, BMA a brand for office chairs and 24/7 seats, two segments that connect very well with our existing products and seating philosophies. 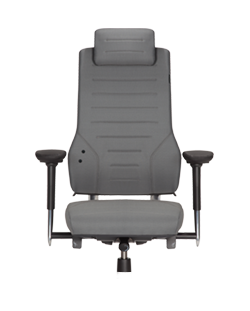 In 2018 our latest chair was introduced, the Axia Vision 24/7. 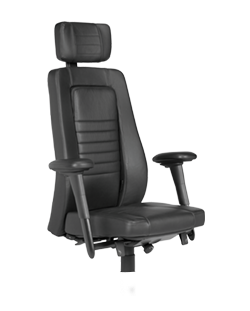 A chair that is suitable for signalling and control rooms, but also sits very well as an Executive Chair in the boardroom. On September 16, 2018 BMA celebrated its 30 year anniversary. 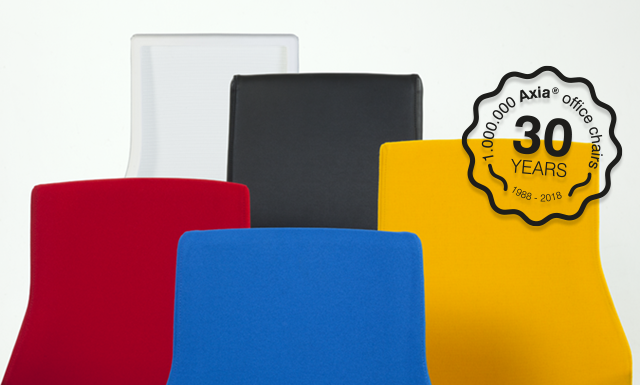 During 2019, the 1,000,000th Axia chair will roll off the production belt.